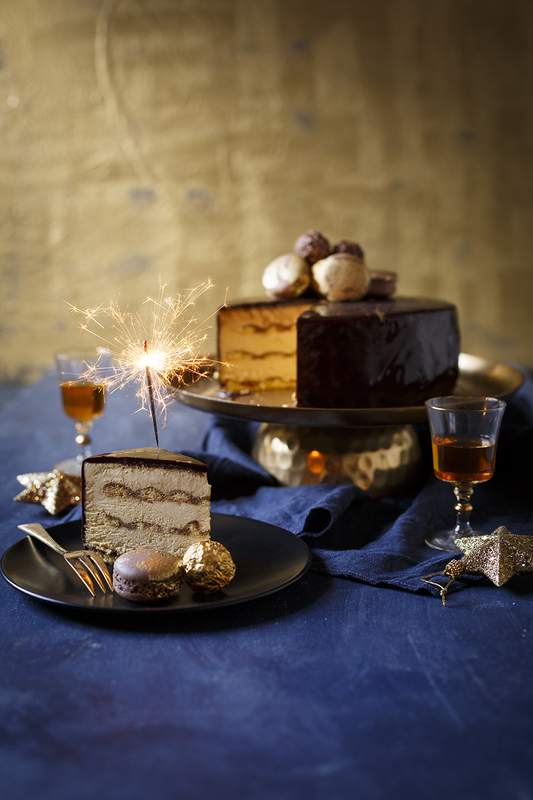 This Caramel Tiramisu Mousse Cake is made with layers of homemade ladyfingers soaked in espresso, a soft pillowy caramel mousse and finished with a shiny chocolate mirror glaze. 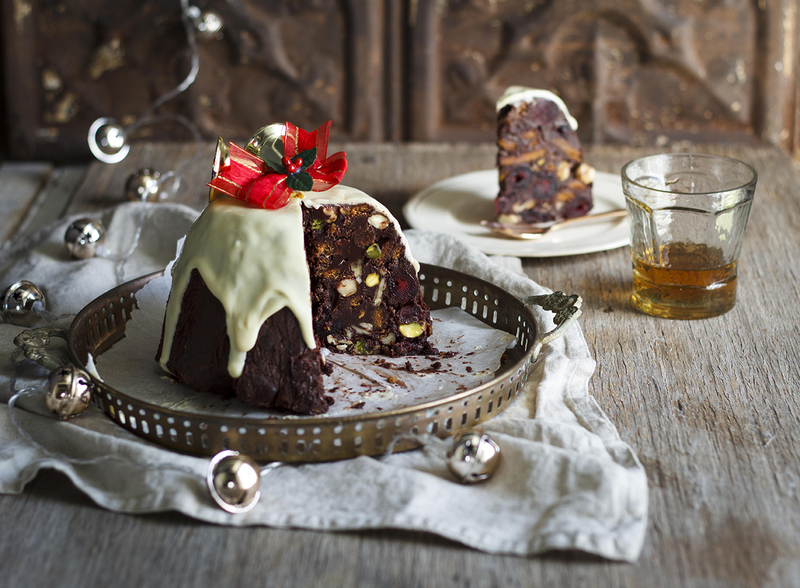 A Christmas showstopper! 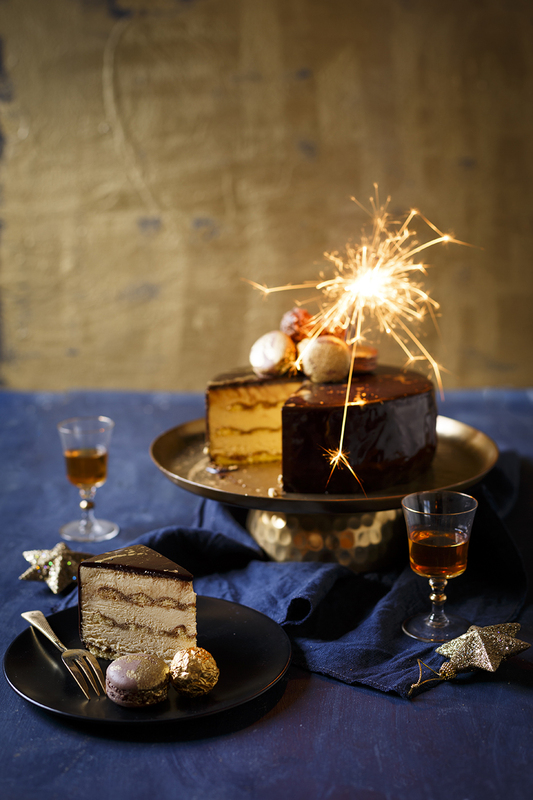 Whether you serve this Caramel Tiramisu Mousse Cake still a little frozen, semi-freddo style, or wait for it to turn into a soft, melt-in-the-mouth mousse, either way, it makes for a pretty impressive festive dessert. I’ve included a recipe for homemade ladyfinger biscuits purely because you can then make the layers round, but if you’d prefer taking a shortcut and using storebought, then go right ahead! I would then rather make it in a loaf tin than fight to make the finger biscuits fit. Use it, don’t use it. The secret to getting the ultra smooth mirror glaze is to freeze the mousse cake. This not only makes it easier to unmould but means the glaze will cling to the frozen mousse and give a smooth finish. However, make sure your glaze is cool – 26 degrees celcius to be exact – otherwise it will melt the mousse and just slide off. 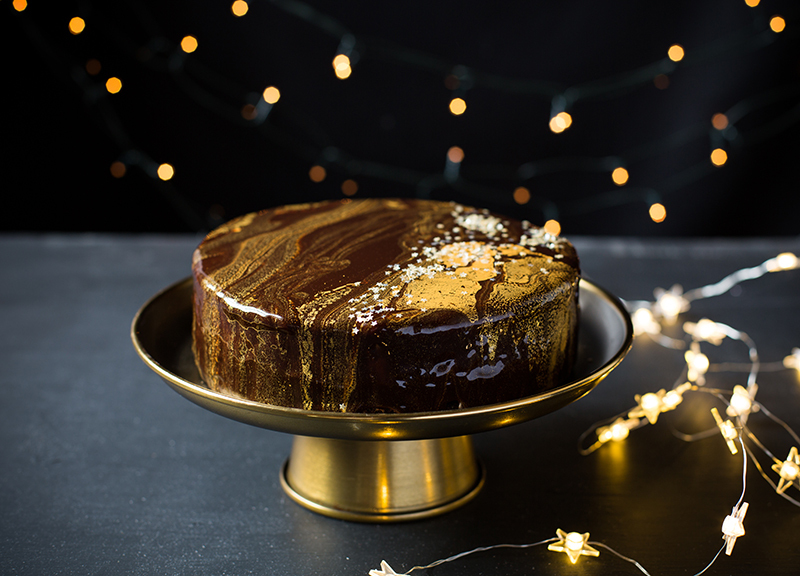 Layers of homemade ladyfingers soaked in espresso, a soft pillowy caramel mousse and a shiny chocolate mirror glaze make this a Christmas showstopper! To make the finger biscuit layers, preheat the oven to 200˚C (180˚C fan-forced). Grease and line 3cm x 22cm cake tins (you can bake them one at a time if you only have one pan). Whip the egg whites until stiff peaks form and gradually add the 75g castor sugar to form a meringue. Whip in the egg yolks, and fold in the cake flour and cornflour, taking care not to knock out the air. Add to a piping bag and pipe 3 concentric circles. 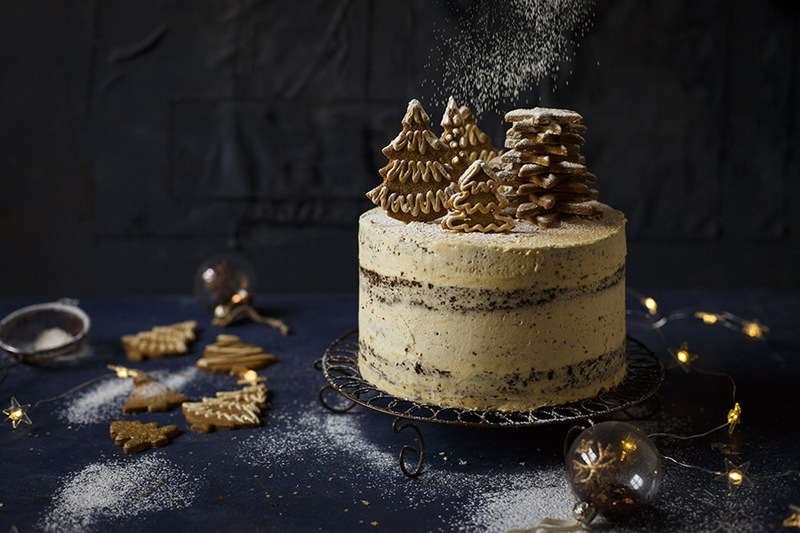 Dust with a layer of icing sugar and bake, 8 – 10 minutes, until puffed and golden. Allow to cool before unmoulding. Make the espresso syrup by dissolving the 30ml (2 tbsp) sugar in the hot espresso and allow to cool. For the mascarpone mousse, beat the 3 large eggs with an electric mixer until pale and thick. The mixture should leave a trail. Soften the 3 gelatine sheets in water. 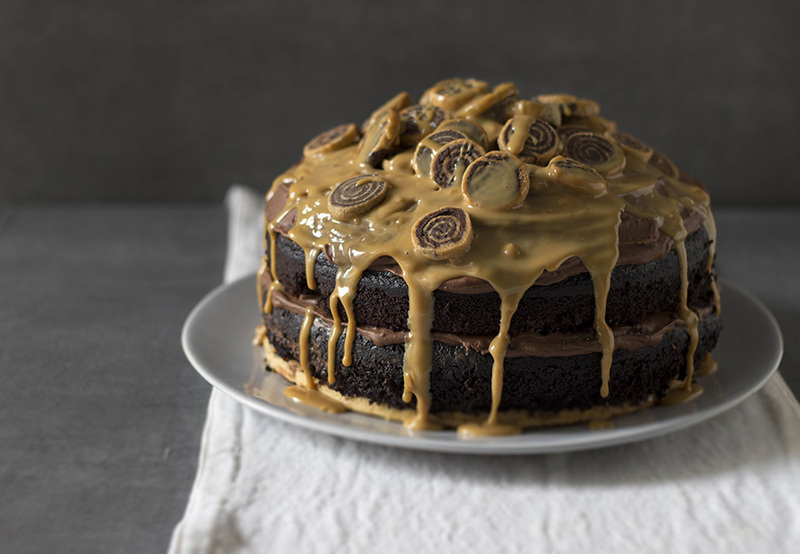 Prepare a caramel by heating the white sugar in a frying pan until it turns golden and caramelised. Deglaze the caramel with the 50ml cold water and salt and boil until it reaches 121˚C (use a sugar thermometer). Add the gelatine to the hot caramel, then add it gradually into the egg yolks, while beating. Whip until the mixture is cool to the touch and thick, about 10 minutes. In the meantime, gradually add the fresh cream to the mascarpone, until thick and smooth. Fold this into the cooled egg mixture. Assemble the cake by placing a finger biscuit layer into the bottom of a 22cm lined springform cake tin. Brush with the espresso syrup until soaked. Dust generously with cocoa powder. Pour over half of the mascarpone mousse. Dust with cocoa powder again. Repeat with the finger biscuit layer, syrup, cocoa and more mousse, finishing it off with the final biscuit layer and a thin layer of mousse. Freeze the cake until firm, about 4 hours. For the mirror glaze, in a saucepan, combine the 125ml (½ cup) water, 250ml (1 cup) sugar, fresh cream and cocoa powder. Simmer, about 5 minutes, until mixture slightly thickens. Soften the 4 gelatine sheets in water and add to the hot glaze. Set over an ice bath and whisk until the glaze thickens and reaches about 26˚C, about 1 minute. 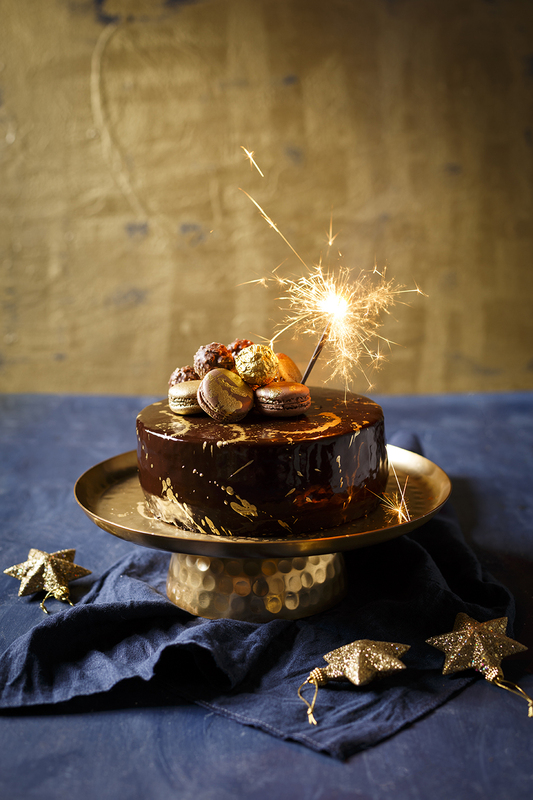 Unmould the frozen mousse cake, by using a hair dryer on a low hot setting to gently warm the pan and unmould easily. Set the cake on a small cake tin on top of a baking tray. Pour the glaze over, all at once, so it runs down the sides. Refrigerate until ready to serve. 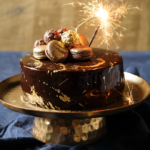 To serve, decorate the cake with hazelnut chocolates, macarons and gold dust. 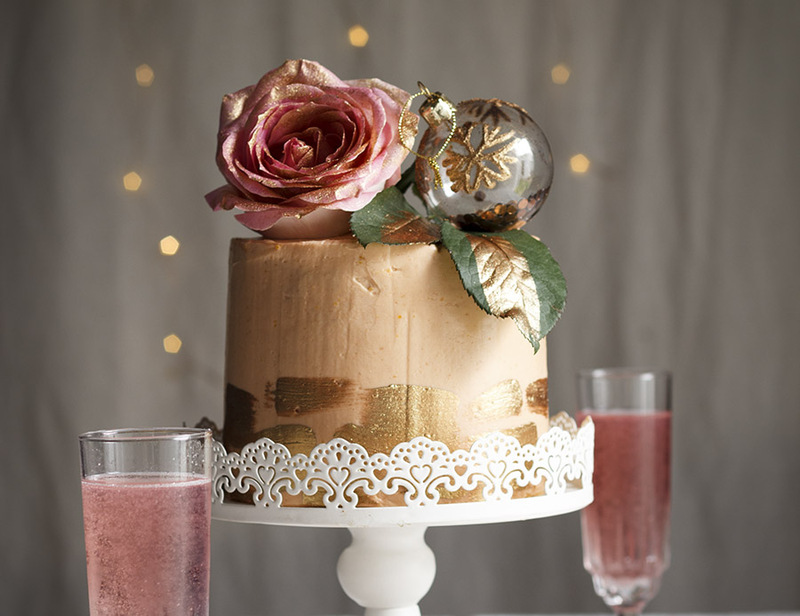 TIP To make gold paint to splatter the cake with, mix 15ml (1 tbsp) gold dust with 5ml (1 tsp) vodka or vanilla extract. STORAGE The entire cake can be made 2 – 3 days before, freeze it and allow to defrost in the fridge before serving.